Take aim to match colorful flowers! 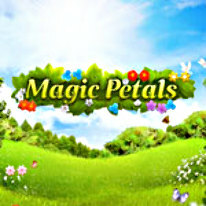 Sharpen your creativity with the colorful and dynamic shooting game, Magic Petals! Enjoy the sights of a flourishing garden as you take aim with your flower bullets to create endless matches and new floral formations. With over 100 lush levels, the colorful combinations abound.